Directed by Karyn Kusama and starring Logan Marshall-Green and Michiel Huisman (swoon), The Invitation is a gripping psychological thriller. Basically, a couple (Marshall-Green and Emayatzy Corinealdi) are invited to a dinner party at a mutual friend’s home. Things quickly seem a little off, though. All the doors and windows are locked, and the homeowners show their guest footage of a woman dying. Things start to take a sinister turn, and this dinner party becomes the dinner party from hell. 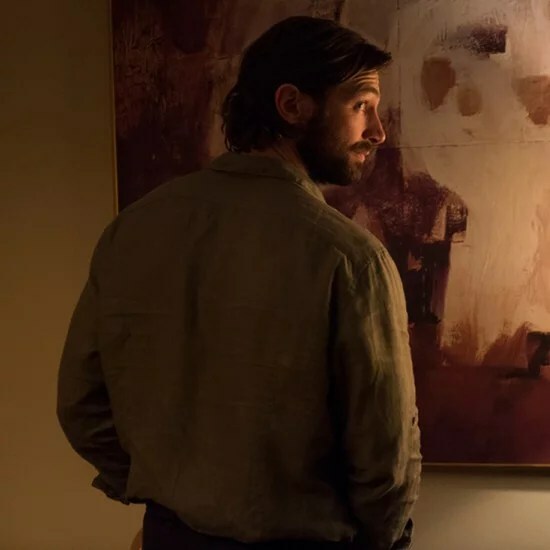 Michiel Huisman shines in his role. Both friendly and quietly menacing, you know you shouldn’t trust him, but you’re drawn to him anyway. The majority of the supporting actors are solid, but a few are a little weak. Can we talk about the cinematography? Because it’s stunning and stylish. It’s a feast for the eyes. The only little issue I had was that the end of the film completely changes genres. Even though I personally enjoyed the twist, I can see where others would be put off by the sudden tonal shift. If you’re looking a gripping, beautiful psychological thriller, look no further than The Invitation. The Invitation is streaming on US Netflix and will be available to purchase on Blu-Ray/ DVD July 26, 2016.